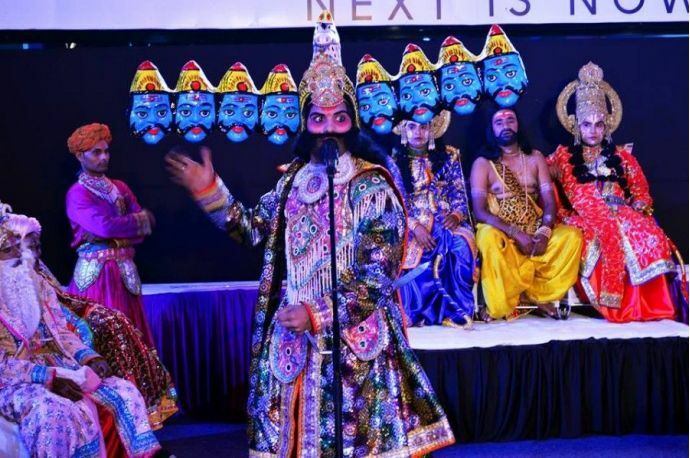 Seven Popular Places In Nagpur To Witness Ravan Dahan! Apart from the play weapons and the yummy food, another Dussehra attraction for children is watching Ravan Dahan. 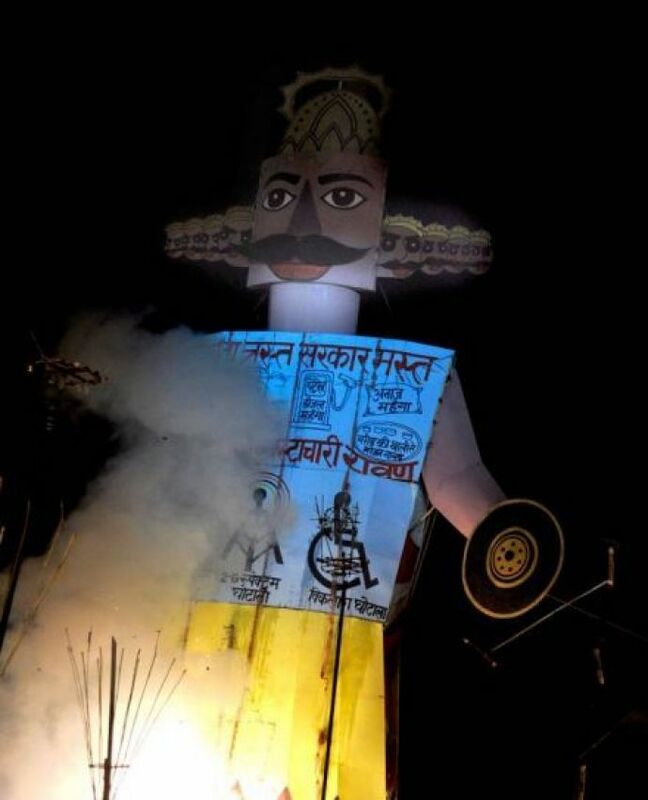 ‘A festival that marks the victory of good over evil’; this is probably the first thought that comes to everyone’s mind when they think of Dussehra, and we have our good old textbooks to thank for that. But, if the fear, violence, and hatred in today’s world have left you wondering if something like a victory of good over evil, actually exists, you aren’t entirely wrong. Bad things are happening in the world, but that doesn’t mean they never will. 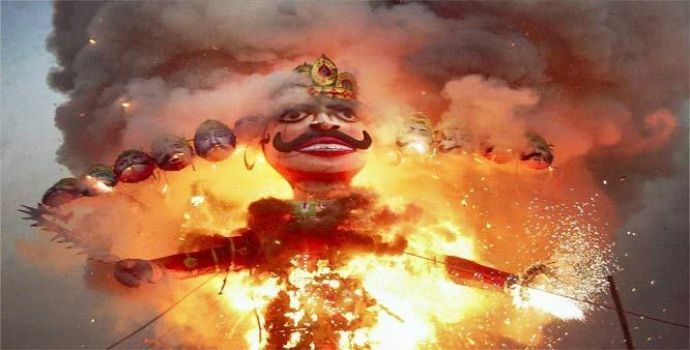 In today’s world, I don’t think Dussehra symbolises the victory of good over evil, at all. Because everything cannot be judged in terms of black and white, victory and defeat. We all live in the gray area that lies in between these extremes. Which is why I believe that this festival symbolises hope. Hope for a better tomorrow. We know nothing good is happening around us, people are being killed, women are being violated, the world we live in is divided, but this negativity doesn’t really stop us from celebrating Dussehra every year. Does that change anything? Probably not. 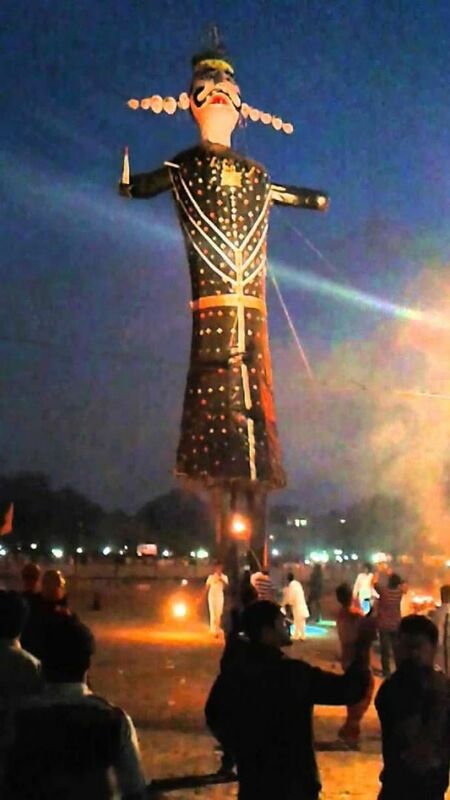 But burning the Ravan effigy does give us a sense of hope, that things will be better. We celebrate Dussehra to mark the hope we have for a better world. With Navratri coming to an end, Nagpur is gearing up to celebrate positivity and hope with Dussehra. 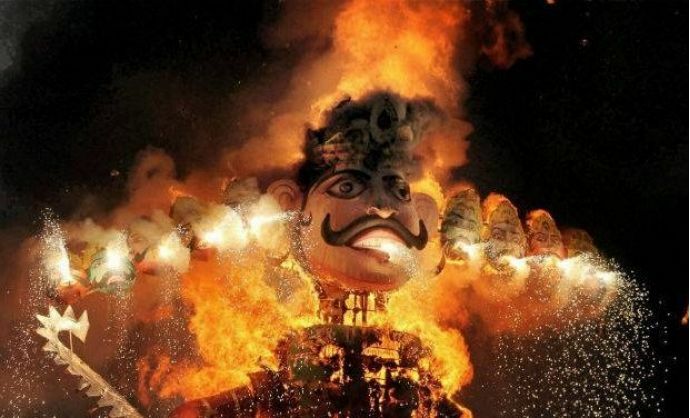 Like all other festivals, Dussehra too is celebrated with great fervor. If you are a 90s kid, you would remember Dussehra as the time when you bought wooden gadas and dhanushya ban covered with the shiny gift wrapping material and pretended to be Hanuman or Bheem! Apart from the play weapons and the yummy food, another Dussehra attraction for children is watching Ravan Dahan. 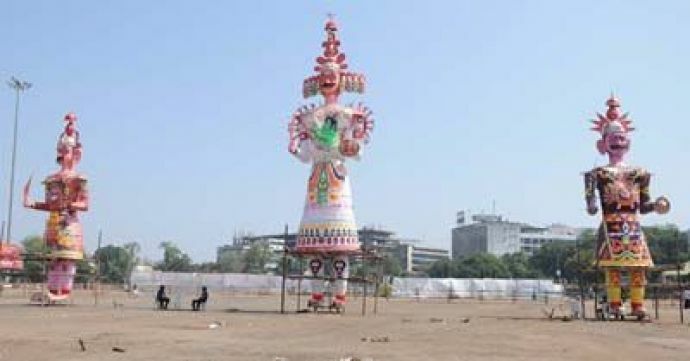 While the Ravan Dahan at Kasturchand Park is the oldest and the most popular one in Nagpur, there are other places too that follow this tradition. 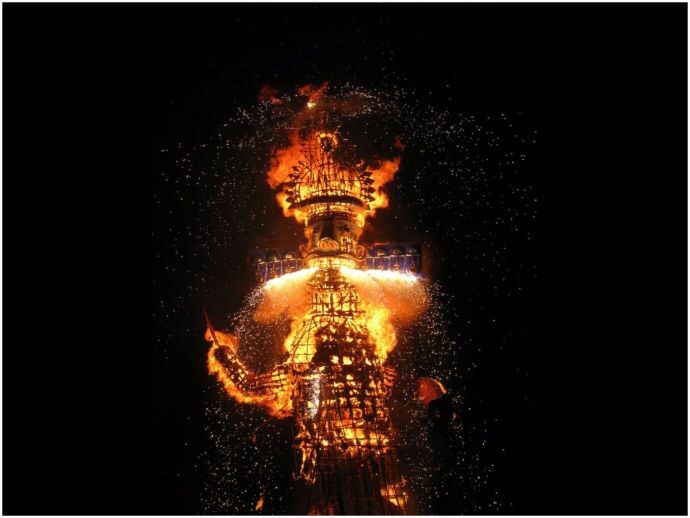 Here are a few Ravan Dahan events you can take your tiny tots too. The Sanatan Dharma Yuvak Sabha is entering its 66th year of organising Ravan Dahan at Kasturchand Park. For the last 56 years, Pujya Panchayat at Kachchi Beesa, Lakadganj, has been following the tradition of burning the effigy of Ravan. They started this practice five decades ago, as not everyone had the mode of transport to reach Kasturchand Park. The Veer Hanuman Mandir in Narendra Nagar has been organising Ravan Dahan at the Narendra Nagar ground for almost 3 decades. The Bharatiya Janata Yuva Morcha, for the last 8 years, has been organising Ravan Dahan at Chitnis Park. 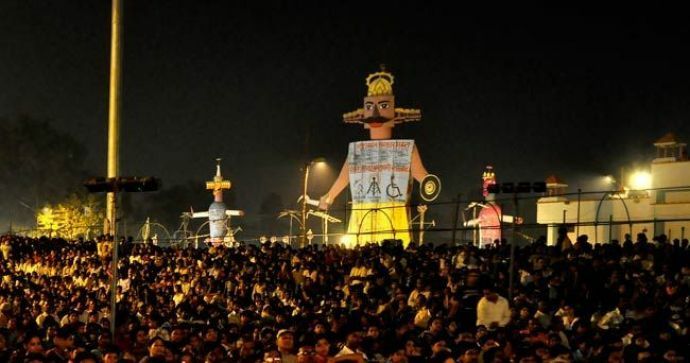 Every year Ravan Dahan is organised on the Reshimbagh ground. 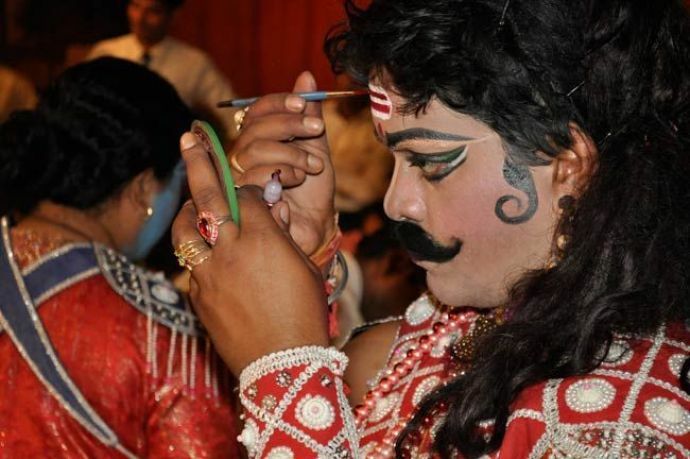 For the last 22 years, Dussehra celebrations, Ramleela and Ravan Dahan are being organised in the Hanuman Mandir premises of East Samarth Nagar. Every year a small scale Ravan Dahan programme happens on the Apollo Basketball ground in Tilak Nagar.